Doesn’t every chef yearn for the just-picked taste of fresh herbs? As the frost settles in, many of us begrudgingly turn our backs on gardening and put up with seasoning’s not-so flavourful, dried cousin instead. Now imagine having that fresh zing year-round! 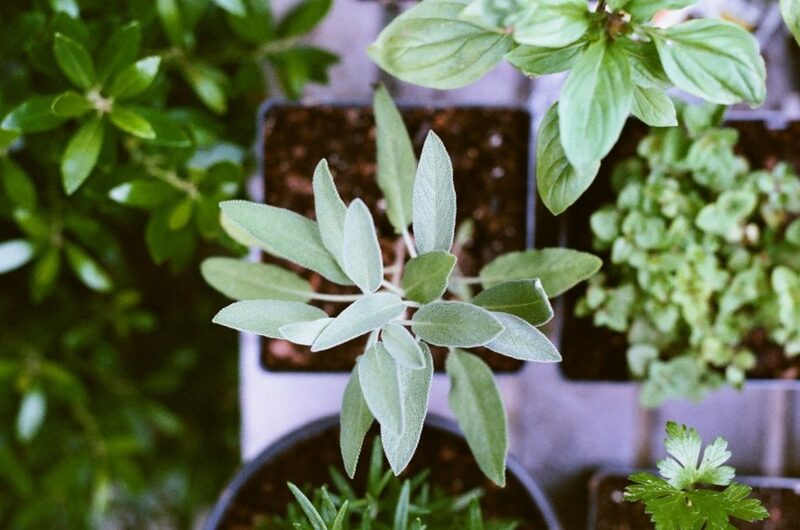 Plant an indoor herb garden and pep your winter dishes full of summer flavour. Here’s how. Which Herbs Are Easiest To Grow? Up your dinner game in an instant by establishing your garden with nursery-grown plants rather than seeds. Many of your most cherished flavourings are available in dwarf varieties too, specifically bred for growing indoors. Try ‘Groleau’ chives, they thrive on a windowsill and ‘Blue Boy’ is much more compact than regular rosemary. Careful! This herb is easily overwatered, so make sure you give it’s soil enough time to dry. Prevent powdery mildew by treating your plant with fungicide. Rosemary’s piney scented leaves act as a natural air freshener. Even when you’re not cooking, your kitchen will smell delicious! Chives don’t require as much light as other herbs. Perfect now the days are getting shorter. Harvest anytime after it reaches 6 inches. Bonus tip, both the leaves and the flowers can be used for cooking! The aroma of this plant keeps pesky flies at bay. This thirsty little perennial requires frequent watering. Stop your mint from becoming lopsided by rotating it every couple of days. A staple for your medicine cabinet as well as your kitchen. If you’re suffering from stomach ache, a soothing peppermint tea is just what the doctor ordered. Ideally, herbs need at least 4 to 6 hours of light daily. Watch them flourish by picking a sunny spot on a south-facing window. Just make sure they aren’t touching the glass as foliage is easily nipped by the cold. Does it seem your plants are growing less leaves and longer stems? This is a sure sign that your herb garden isn’t getting enough light. Give them an added boost by installing a grow light or fluorescent bulb. Herbs are healthier when grown in loose soil, so go for a premium, fast-draining mix. If you’re adventurous though, make your own! Use equal measures of topsoil, compost and builders sand, you can always add a little all-purpose fertiliser to be on the safe side too. As long as it is at least 6 inches in size and has drainage holes, almost any container will do. Feeling crafty? Turn household items like tinned tomato cans, teacups or mason jars into planters. Don’t forget to label your pots though, or else you might end up with oregano in your ice cream and a minty flavour to your bolognese! Although we may not be green fingered, Black Rok Kitchen Design are experts at creating dream kitchens. Contact us now for more information.